Cultural Revolution considered a fundamental violation of human rights. As China embraces capitalism, the Mao era is being denigrated by the Chinese political and intellectual elite. This book tackles the extremely negative depiction of China under Mao in recent publications and argues that most people in China, including the rural poor and the urban working class, actually benefited from Mao's policies. Under Mao there was a comprehensive welfare system for the urban poor and basic health and education provision in rural areas. These policies are being reversed in the current rush towards capitalism. 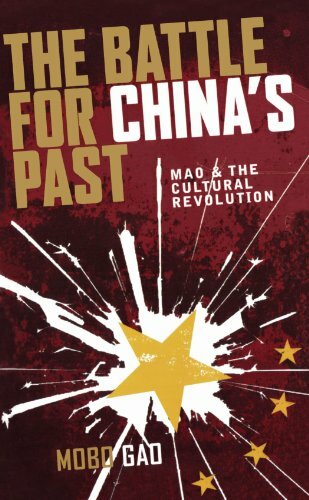 Offering a critical analysis of mainstream accounts of the Mao era and the Cultural Revolution, this book sets the record straight, making a convincing argument for the positive effects of Mao's policies on the well-being of the Chinese people. Mobo Gao is Professor of Chinese Studies and Director of the Adelaide Confucius Institute at the University of Adelaide. He is the author of Gao Village; A Portrait of Rural Life in Modern China (1999) and Mandarin Chinese: An Introduction (2000). Introduction: who is writing history and who are the Chinese? Who is to be fooled and why? Was Li Mao's personal physician? How much did the doctor know? What did the medical doctor know about politics? A re-evaluation of Kang Sheng? Is China a capitalist country? And does it matter? Do the values of socialism matter?